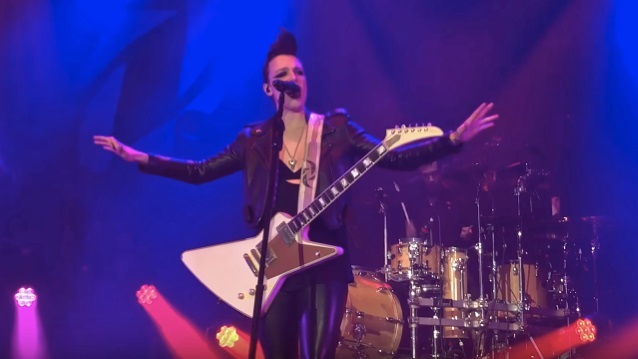 Fan-filmed video footage of HALESTORM performing a new song called "Black Vultures" on February 8 at the Swiftel Center in Brookings, South Dakota can be seen below. HALESTORM is getting into the homestretch with the recording of its new album, and singer/guitarist Lzzy Hale told The Pulse Of Radio that the band is looking to add the final touches to the record. "We have about two or three weeks left recording just to put like the cherries on top and see what the 11th hour songs have to say, which that's the big thing in the world of HALESTORM" she said. "We'll be writing, writing, writing and then we, like, think we've got the record figured out, and then all of a sudden, last minute at the 11th hour, like, there's one or two songs that kind of come out because you're already like relieved that you have the record done, and those are the songs that are like, 'Okay, we have to put them on the record somehow.'" HALESTORM's fourth album is being recorded at Dark Horse Recording studios just outside Nashville with Nick Raskulinecz, an acclaimed producer who has previously worked with RUSH, KORN, ALICE IN CHAINS and DEFTONES, in addition to having produced HALESTORM's third covers EP, "ReAniMate 3.0: The CoVeRs eP", which came out in January 2017. HALESTORM guitarist Joe Hottinger told the SiriusXM show "Trunk Nation" that the band's follow-up to 2015's "Into The Wild Life" will contain some of "the heaviest stuff we've ever done." 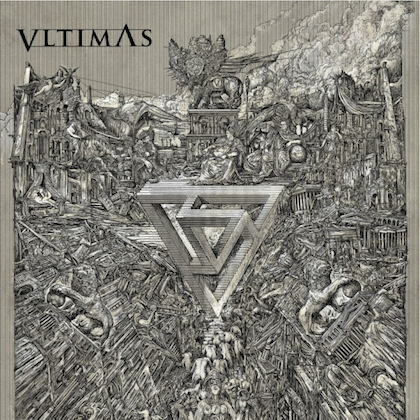 "Into The Wild Life" was criticized by some HALESTORM fans for veering too far into pop music territory.